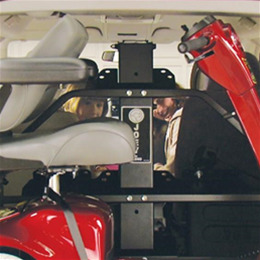 Bruno's Joey™ Lift sets the standard when it comes to ease of operation, quality engineering and unsurpassed safety! 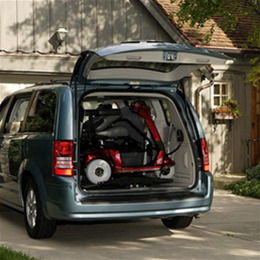 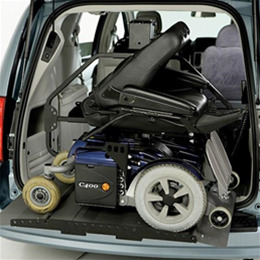 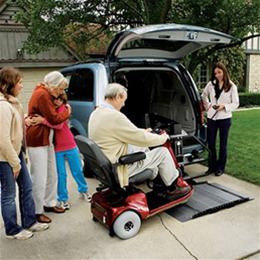 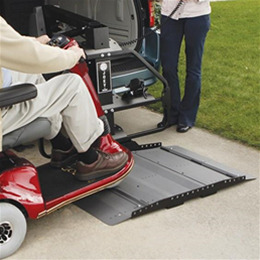 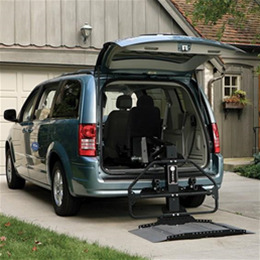 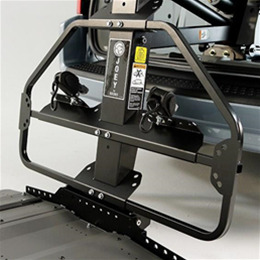 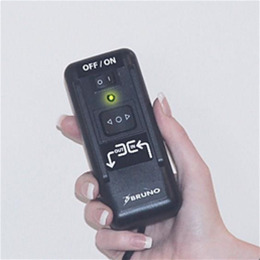 Just drive your mobility device onto the platform, press a button and Bruno's Joey™ lifts your mobility device and tucks it gently into a mini-van or full-sized van. 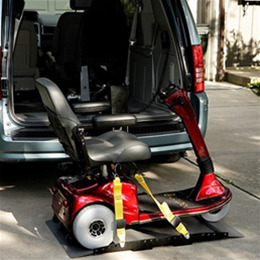 Lifting and stowing your scooter or powerchair doesn't get any easier than with a Joey ™.